I’m privileged to listen to and sometimes participate in lively conversations among lay people, theologians, engineers, scientists, etc. (many with advanced degrees) on the convergence of science and faith. The topics discussed are thought provoking and challenging. Most conversations are way above my pay grade. But, occasionally, something I can understand grabs my attention. This time it was poetry. John Morgan shared a poem he had written. I was enthralled. A friend of his was going to set it to music and post it on YouTube. I couldn’t wait to hear it. But each time I searched for it on YouTube, I was disappointed. Three years went by. It still was not on YouTube. Could I put John’s poem on YouTube, I wondered? I had written songs using music notation software and had even uploaded musical scores to the web. But not music videos. I hesitantly asked John for permission to put his poem on YouTube. Amazingly, he said yes. I chose a few lines of the poem and set them to melody and laid the melody over a chord progression. Then I scored it for chamber ensemble. My music notation software made an audio of the instruments playing the song. But what about lyrics? And video? A search of the web turned up an answer. I could put lyrics on PowerPoint slides and use Windows Movie Maker* to make a video, syncing JPEGs of the slides with audio. I now had a simple movie of John’s poem. Did the cosmos know we were coming? “Can You Imagine?” – John Morgan’s provocative poem – asks challenging questions and finds an astonishing answer in the Creator God of the Bible. From the album “Apologia – Answers for Troubled Minds” this video is music overlaid on slides. 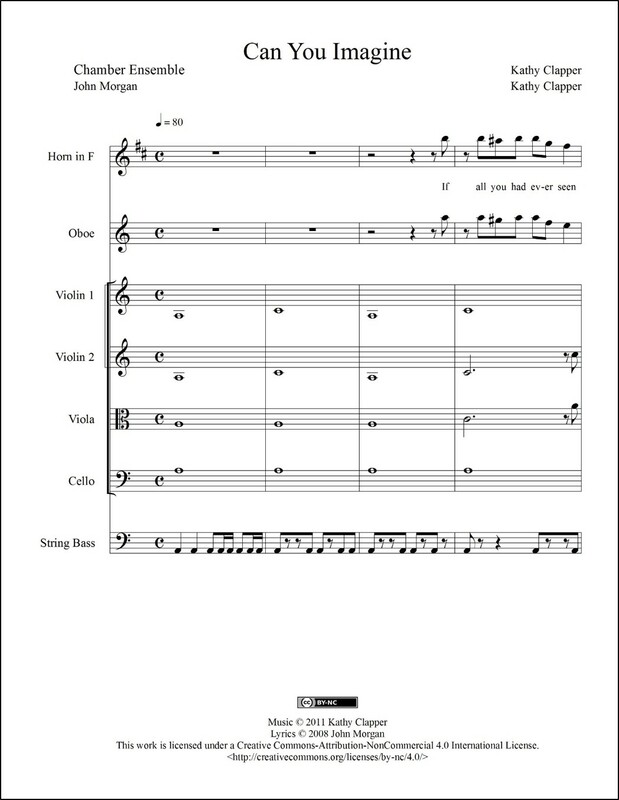 You can get print (PDF) and/or digital (MusicXML™) sheet music for Can You Imagine. 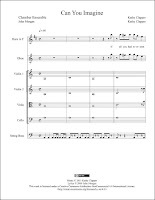 Click here for print sheet music. *A search of the web revealed that I am not the only person who cannot open or edit older Windows Movie Maker files (.mswmm) using the current version of Windows Movie Maker! I no longer use it or recommend it.